After the Museum of Ethnology we headed back to our hotel as I’d arranged a free tour of the Old and French quarter of Hanoi with Hanoi Kids Club. 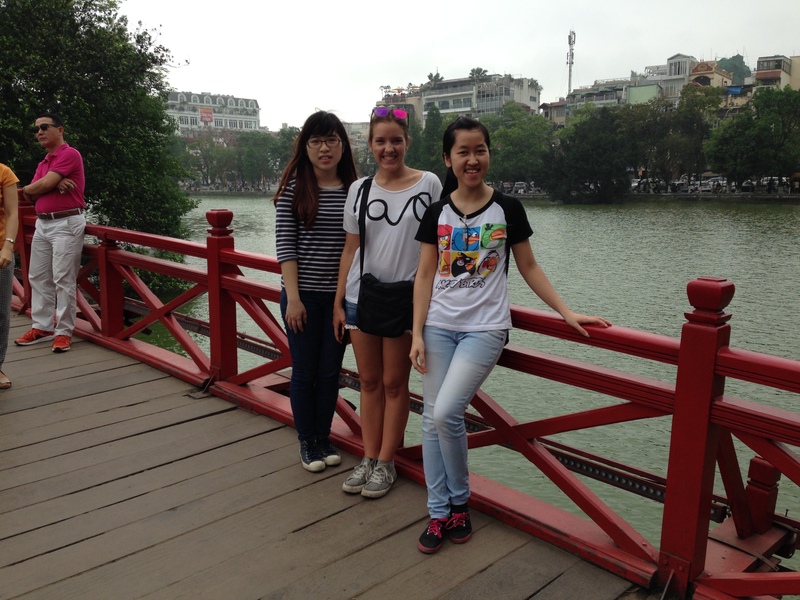 The basic idea of Hanoi Kids Club is that students will give you a free tour of the city so that they can practise their English. 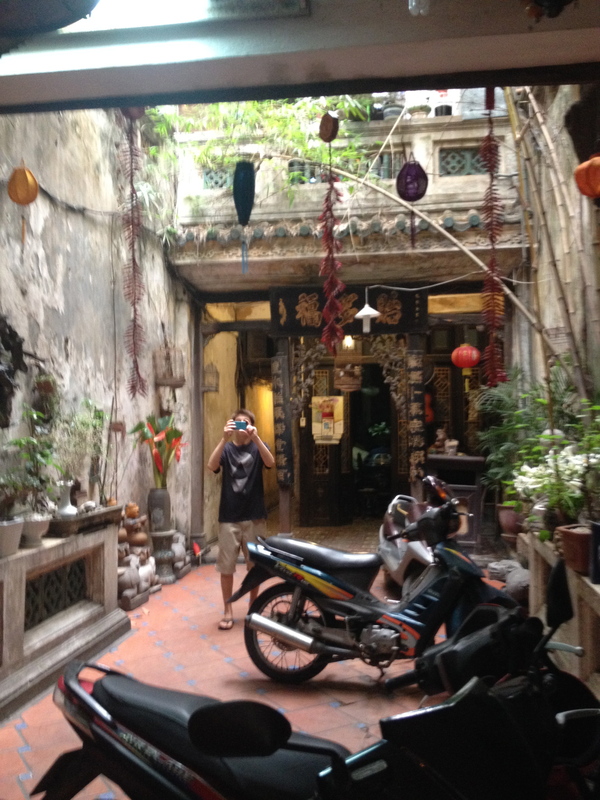 We were met by two lovely Vietnamese girls at our hotel and they took us to various sites. We started off at St. Joseph’s Cathedral which was built by the French and its style is meant to replicate Notre Dame in Paris. 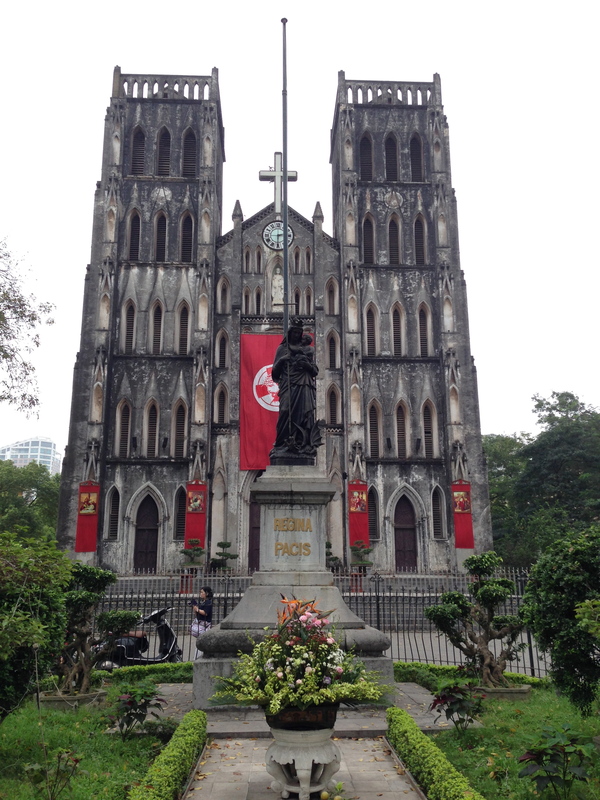 Visiting the cathedral prompted a conversation about religion and the girls explained that about 80% of Vietnamese people aren’t religious. I was really surprised by this because Thailand was so religious in comparison. The two girls said they were atheist and when I told them I was Catholic they had lots of questions about how often I went to church, whether I got in trouble if I didn’t go every week or if I had to give the church some of my salary. The photographers were taking pre-wedding and pre-graduation pictures! The girls explained that you would then have these pictures on display at the wedding (or graduation party) for your family and friends to see. She was so surprised that we don’t have a ‘pre-wedding pictures’ tradition in England. She asked what English people show their guests at their weddings and couldn’t get her head around it. Seeing the couples and graduation robes prompted a conversation about what they were studying at university and their goals in life. One girl said she was studying accounting at university but said it was actually her parents’ decision. She said she would have liked to have studied tourism and become a tour guide but her parents had discouraged it. Her mum had told her that later in life it’s difficult to be a tour guide and a mother, whereas you can work part-time as an accountant, earn good money, and still be a good mother. 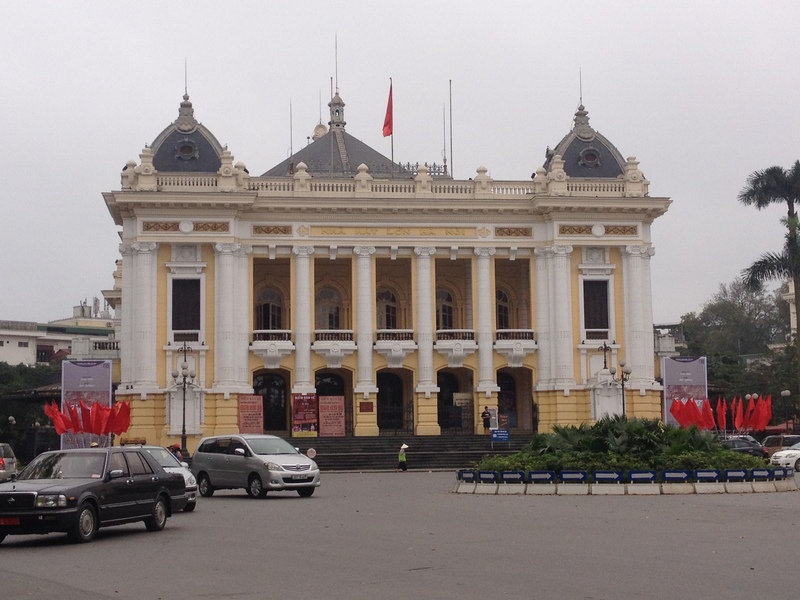 We then went to the French Quarter of Hanoi and saw their version of Paris’s Opera. It wasn’t spectacular but it was nice all the same. 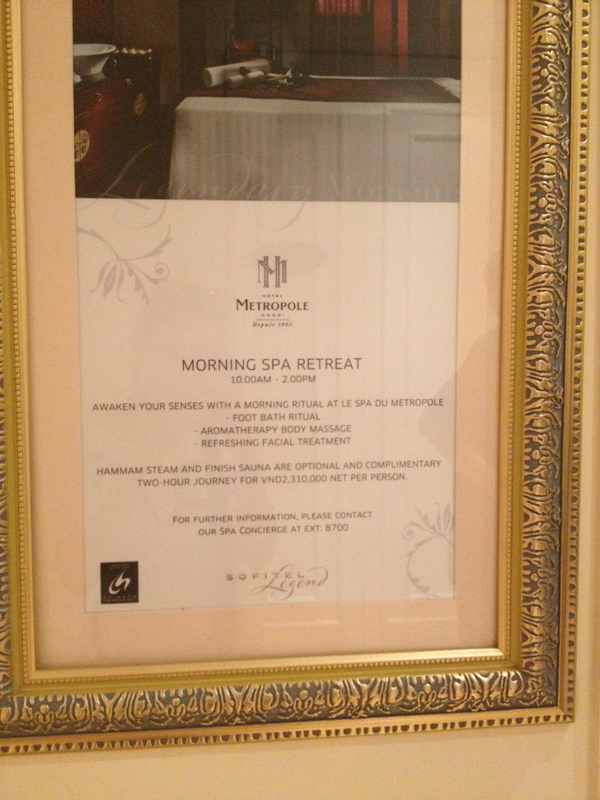 We then went inside this swanky hotel called the Metropole which still had its bomb shelter from the Vietnamese war. It was a five star hotel and when we walked past prices for a day in the hotel’s spa, one of the girls was so shocked that the price was nearly the same as her mum’s monthly salary. 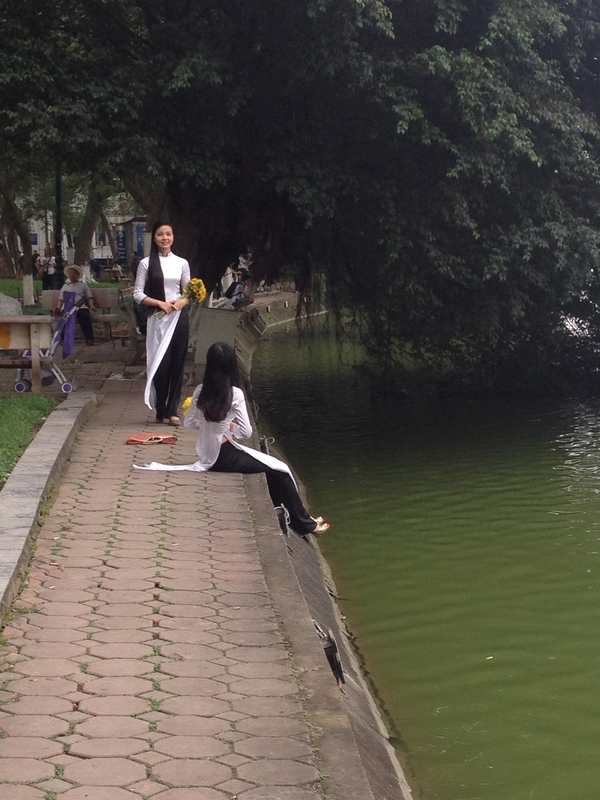 I’m really glad we did the tour with Hanoi Kids Club because we definitely got a sense of what it was like to be a young person in Vietnam, and because they took us to this really cool cafe in this back alley with a really nice view of the lake. The two girls encouraged us to try the Vietnamese ‘Egg Coffee’ where egg whites are used to make the froth of the coffee. Apparently it had been invented by a bar tender at the Metropole Hotel during the Vietnamese war when a guest had asked for a Cappuccino but they had no fresh milk. The froth is made from egg whites and condensed milk, and it was actually quite nice! 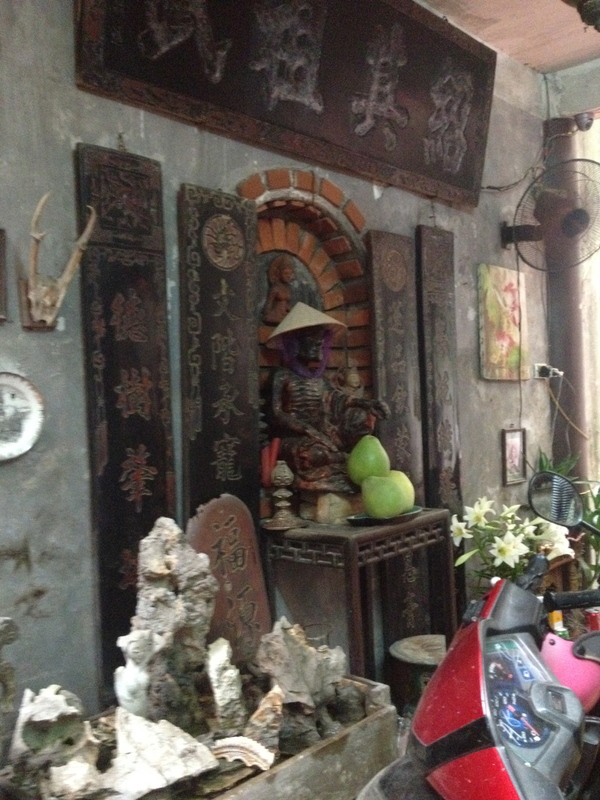 We were on the third floor of this cafe and on the way down we passed a room with an altar. They told us it was an ancestor altar and that you put pictures of dead family members, bowls of water and candles on it. It’s basically a shrine to them and you do it to maintain a good relationship with the dead. 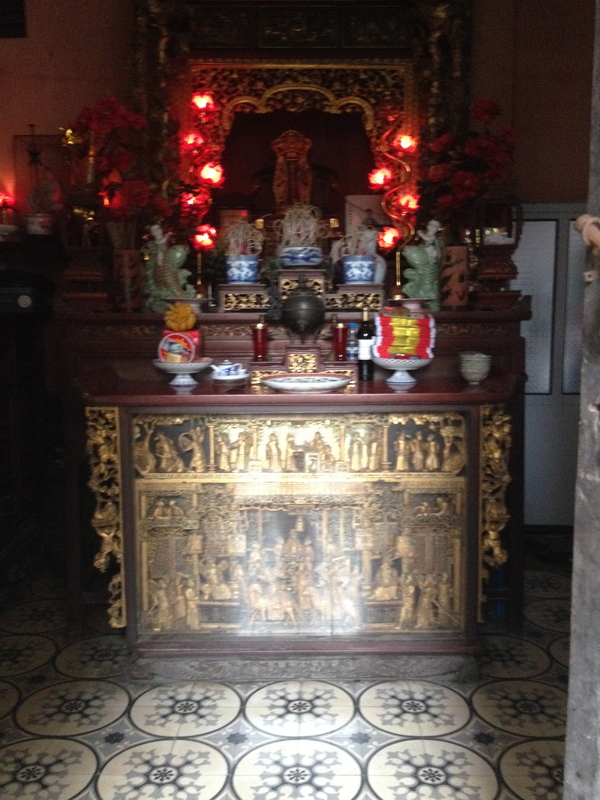 I asked the girls if they had an ancestor altar in their homes and they said yes, which surprised me because they said they weren’t religious! It seems like quite a religious or spiritual thing to do..